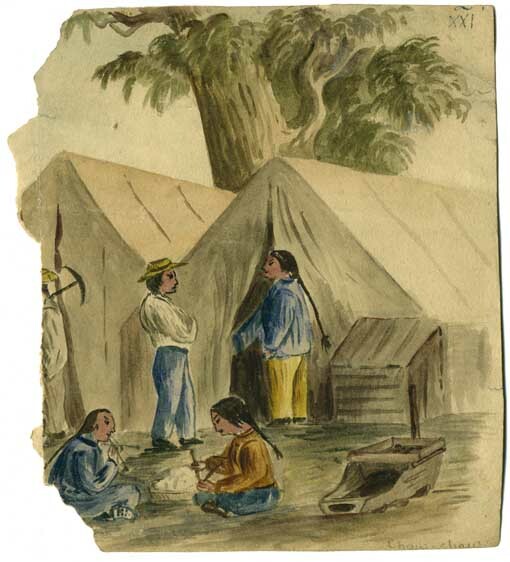 Charles A. Doudiet, Chow Chow (Chinamen on Ballarat), c1854, watercolour, pen and ink on paper. Courtesy Art Gallery of Ballarat, purchased by the Ballarat Fine Art Gallery with the assistance of many donors, 1996. 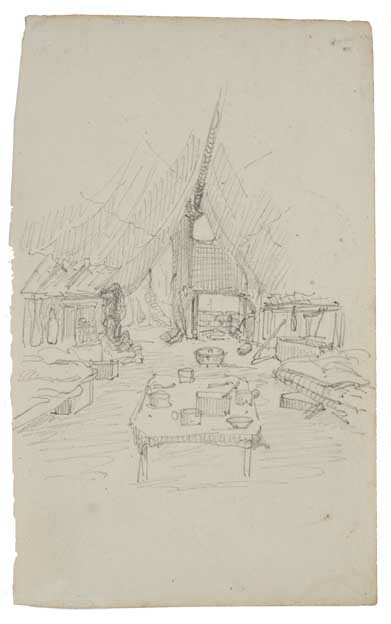 Henry Winkles, Untitled [inside view of tent], 1850s, watercolour, pencil on paper. Courtesy Art Gallery of Ballarat, Purchased with funds from the Colin Hicks Caldwell Bequest, 2004.